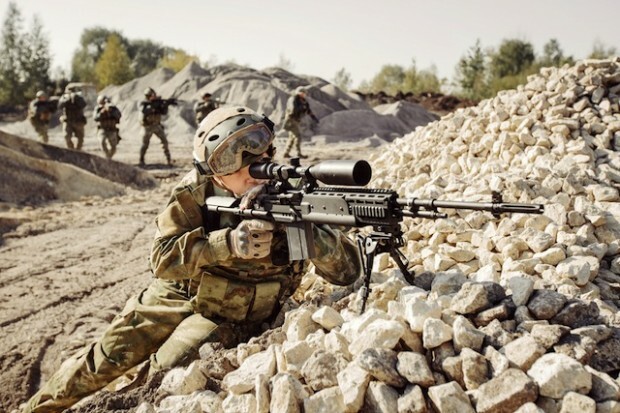 Report: British Sniper Saves Boy, Father From Islamic State Beheading With Half-Mile Shot. A British special forces sniper saved the lives of a boy and his father who were about to be beheaded by Islamic State jihadists by firing a shot at the head of the executioner from his position more than half a mile away, a British newspaper reported. According to the Daily Star, a unit of Britain’s special forces Special Air Service carrying out covert patrols on the Syrian-Turkish border was tipped by an Iraqi spy to the execution site where Shiites accused of being “infidels” were going to be beheaded. An unnamed military source told the newspaper that “there were several decapitated bodies already lying on the ground” in the village where the field trial and punishment were underway. An SAS ground unit had moved into position just outside the village where the gruesome punishment was being meted out. “Through binoculars, the soldiers could see that the crowd were terrified and many were in tears,” the source said. Soon, a man and his young son were pulled from the crowd, blindfolded, and placed on their knees. The knife-wielding jihadist was flanked by two men toting AK-47s. That’s when the SAS sniper killed the executioner using a .50-caliber rifle shot from 1,000 meters away, more than half a mile. After the militants were killed, the boy and his father were untied and ran away toward the Turkish border. The Star reported that the sniper plan gelled after the unit rejected calling in an aerial drone attack due to the risk that innocent bystanders would be killed. “It was a good day’s work,” the source told the Star. ← 4 tattoos I love!